Mojo Monkey Donuts: City Pages Names This Donut One of the Best! City Pages Names This Donut One of the Best! Mojo Monkey's Maple Bacon Bar is now officially award-winning! 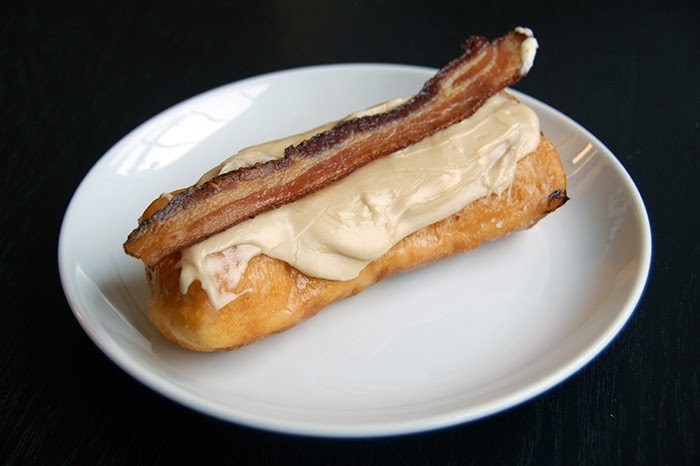 Check out our top spot on City Page's Top 10 Donuts in the Twin Cities list. "Think of the bar as a portable pancake feast," says the Hot Dish (and we especially love this part...), "but more pillowy and more sinful." We agree that it's the perfect combination of sweet and savory. Did you know this bar is now even better? Introducing the Beer Battered Bacon Bar: Same great maple and bacon flavor but now with an extra bonus from Summit Brewing. Try one today! Both Minneapolis and St. Paul have some great donuts, and we're proud to be part of the best of the best. Thanks, City Pages! Hey, are you signed up to get our latest news and promotions? Do it now!